Special Muster Edition - All Hands on Deck! All Hands on Deck - Healthcare Threatened Again! Zombie TrumpCare is back and we don’t have a lot of time to stop it. 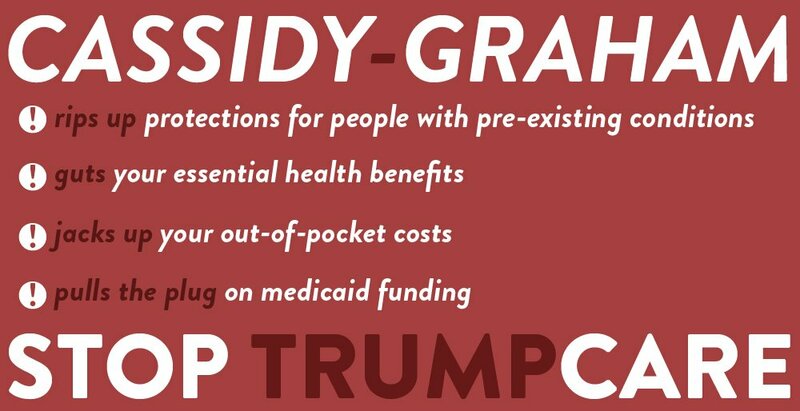 The latest bill (“Graham-Cassidy”) is just the Senate’s latest version of TrumpCare by another name: it destroys Medicaid, hurts those with pre-existing conditions, attacks women’s health, takes away basic coverage for opioid addiction treatment, and much, much more. Mitch McConnell is moving the bill quickly…he's planned a vote for next week. The Senate has to vote by September 30th to avoid a filibuster and he’s almost got the votes! The vote is going to come down again, as it did last time, to a few key GOP senators. Fortunately, there IS something we can do from here in Massachusetts. 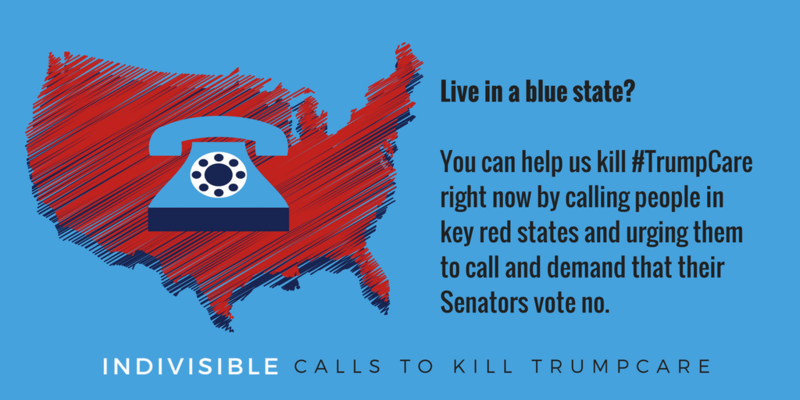 Indivisible has set up a phone system where we can make phone calls to progressive voters in those few key states, ask them to call their Senators, and if they agree, we can connect them through to the District Office of their Senator. This is absolutely THE most important thing we can be doing right now, and it's a great way to do something that really will make a difference. Our members used this tool to make calls during the healthcare battle in July and found it easy, effective, and rewarding! All the information you need to get started is posted here. Want to do more? 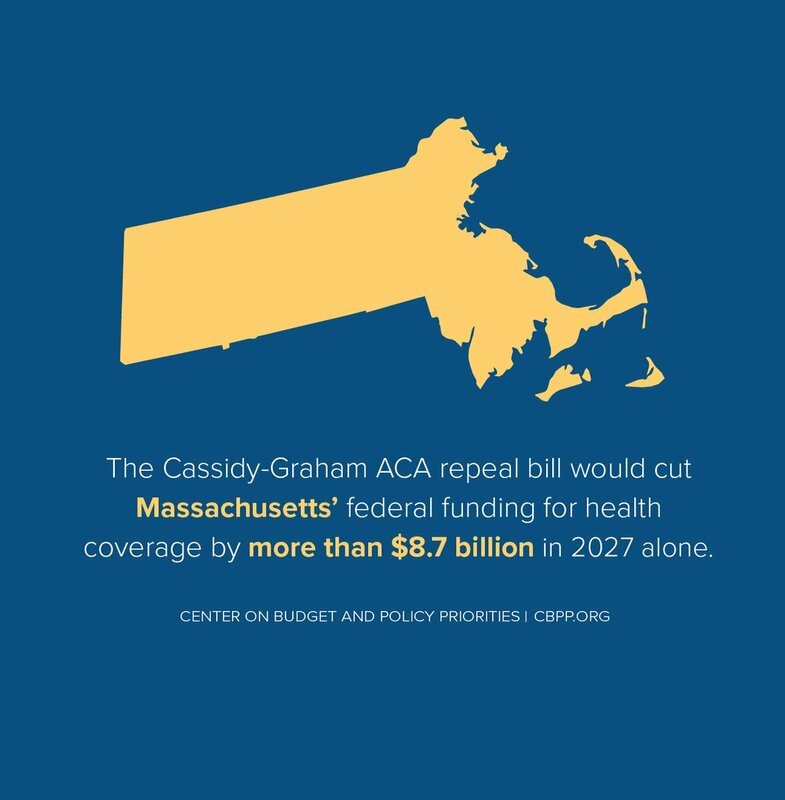 This bill is especially bad for Massachusetts because it redirects funds away from states like ours that expanded Medicaid. We could lose over $5 BILLION by 2026 and even more than that in 2027 when Block Grants end! No wonder Gov. Baker signed a bipartisan letter along with many other Governors urging the Senate to abandon this bill and pursue bipartisan efforts to "make healthcare more available and affordable for all Americans." Contact the Governor to thank him and urge him to do everything he can over the next week to stop this bill. Finally, please take a moment to call Senators Warren and Markey to thank them for their tireless efforts to stop Trumpcare. They tally every call and use the stories you share to try and convince their colleagues to oppose this bill. 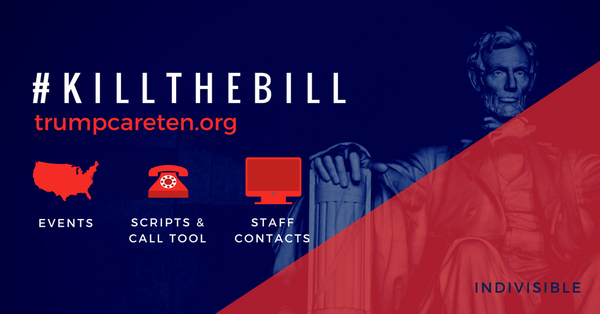 Things are moving rapidly, so check our website and twitter feed for important updates and new actions you can take to #ProtectOurCare. You’ve fought TrumpCare from the beginning, but now it’s really time to turn up the heat. 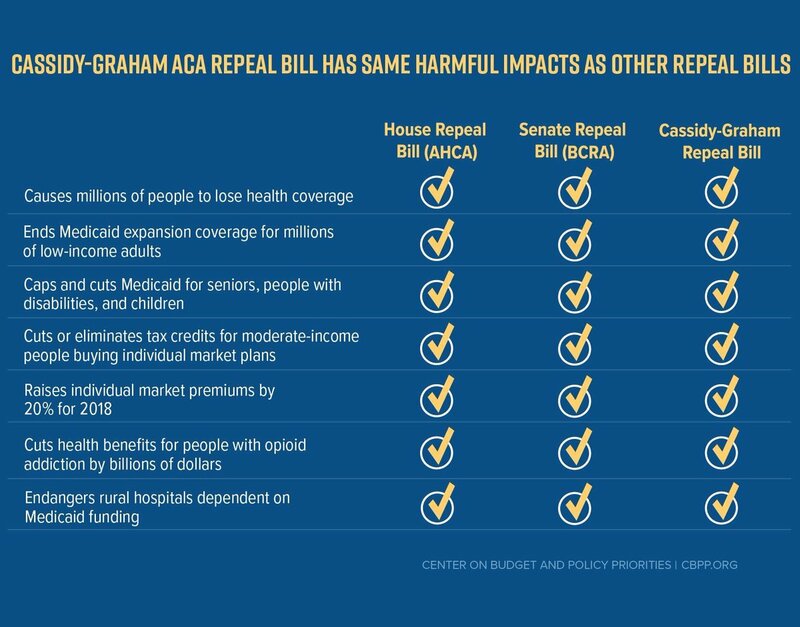 Republicans know that constituents don’t want TrumpCare to pass which is why they’re trying to pass this bill with as little attention as possible. With your help, we won't let them get away with it. Healthcare is going to be an important focus for the rest of September, but please mark your calendars for two very important MI events happening during the first week of October. Healthcare in America - What's Next? 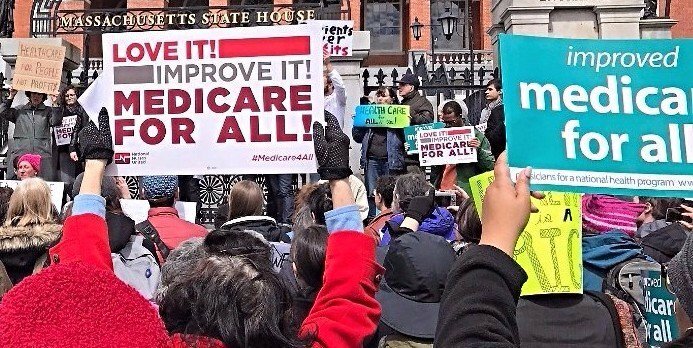 We’re excited to announce we’ll be sponsoring a forum on Single Payer Healthcare in conjunction with Harvard Medicine Indivisible on Monday, October 2nd from 7-9pm at the First Parish Church, 7 Harrington Road, Lexington.We've lined up an exciting panel of speakers and hope you'll come, ask questions, and participate in a lively discussion. More details, including the list of speakers, is available on our website. 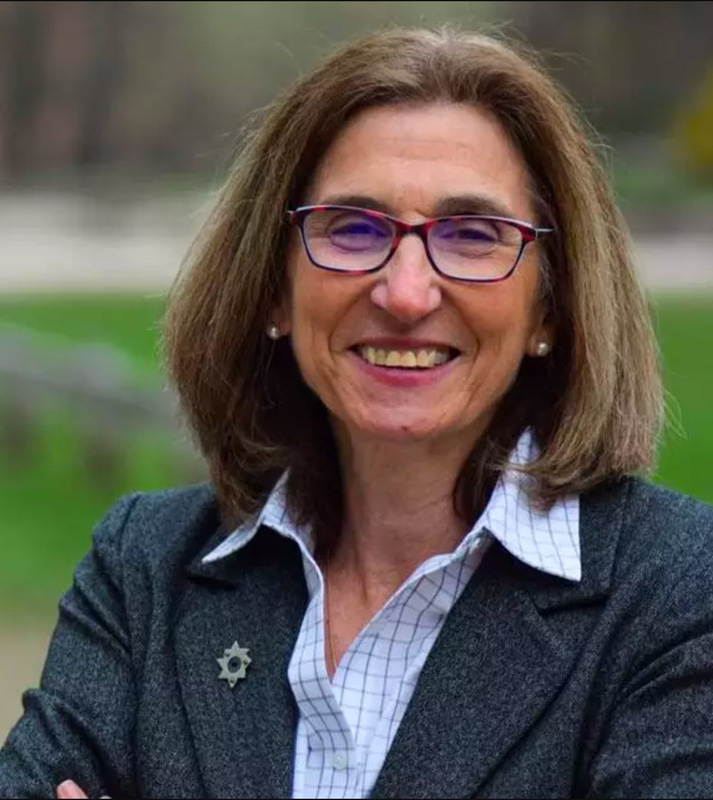 We’re thrilled that our new State Senator Cindy Friedman has agreed to speak at our fall General Membership meeting which will be held on Thursday, October 5th at the Lexington Community Center. We'll be holding a social hour from 5:30 - 6:30, then Senator Friedman will speak and answer questions, including about issues related to healthcare. The meeting will conclude with an update on our activities and plans. Please plan to join us and bring a friend! The elections team is hosting Chrissy Houlahan, Candidate for US House for PA 6. Chrissy is endorsed by Seth Moulton, DCCC and Emily's List. She is also one of the four candidates the elections team has selected for our support. Come meet her and contribute to the effort. For more information about the event, email the elections team: elections@minutemanindivisible.org. For more about Chrissy Houlahan check out the Emily's List writeup.